Ever since Warner Bros. Pictures’ animation and live-action adventure Space Jam debuted in theaters over twenty years ago, love for the big-screen showdown between the Tune Squad and the Monstars has only grown. With the film’s increased popularity, calls for a sequel have gotten louder. RELATED: Justin Lin to Direct LeBron James in Space Jam 2! Earlier this year, it was revealed that Justin Lin of Fast & Furious and Star Trek Beyond fame would direct the film starring the four-time NBA MVP Lebron James, though no news on its development has come in many months. 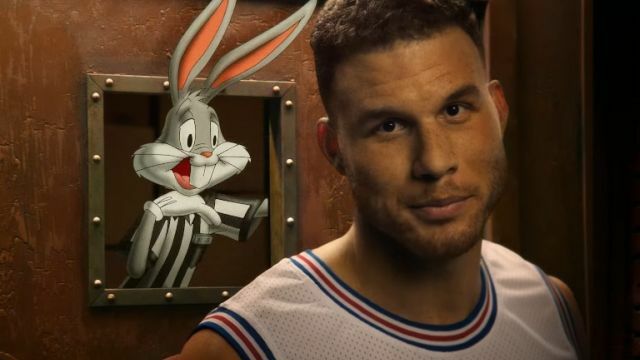 To hold you over, Foot Locker has revealed a new commercial for their Jordan line of shoes that features not only basketball players Blake Griffin and Jimmy Butler, but the return of Bugs Bunny and the villainous Monstars from the original film! Check it out in the player below. Released in 1996, the original Space Jam starred Michael Jordan and saw him teaming up with the Looney Tunes as they played a game of basketball in an intergalactic arena. Though not much of a success critically, the film brought in $230 million worldwide and remains the highest-grossing basketball movie of all time. The original Space Jam also featured a supporting cast with talent like Wayne Knight and Bill Murray alongside other NBA stars like Larry Bird, Charles Barkley and Patrick Ewing. Will this satisfy your itch for more Space Jam or are you still looking forward to the big screen sequel? Sound off in the comments below!